Neerja and Kushal’s Mumbai wedding was rich with traditional rituals and regal touches, from their ensembles to the decor. 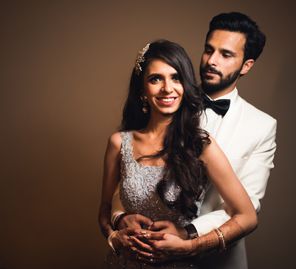 Little did Kushal and Neerja know that a matrimonial website would take them on a journey that started with last-night calls to a beautiful wedding. 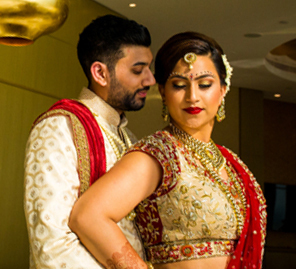 Here, bride Neerja shares the memorable moments of the wedding celebrations held in Mumbai. Kushal was based in the US and Neerja in Mumbai when they first got acquainted through a matrimonial website. They exchanged numbers and hit it off instantly when started talking. The two bonded over their night-long phone calls, and before they knew it, their parents met each other to make their relationship official. After 11 months of courtship and several late-night calls later, Kushal and Neerja got engaged! “A Ganpati Pooja is a ceremony that takes place a night before the main wedding day. 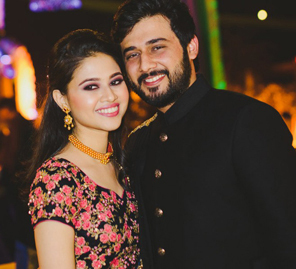 This function was followed by a fun sangeet program in the evening which included dance performances, flash mobs, singing and a DJ night.” Neerja was resplendent in her gorgeous gown while Kushal looked dapper in his Nawabi outfit. “Our wedding commenced in the morning, and it was hosted at ISKCON in Juhu, Mumbai. It proved to be the perfect venue for a traditional ceremony where we were surrounded by our close family and friends. Our wedding will forever be right on top of our favorite memories. Keeping in mind the ambience of the venue, we kept the decor elegant and understated. Kushal and I were traditionally dressed for the morning ceremony.” His look was inspired by the royal 'Bajirao' look, and Neerja was a vision in her yellow saree with a bottle green border. 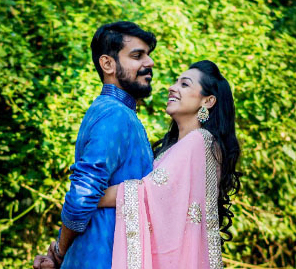 The wedding was followed by a reception where the bride looked flawless in her pure Kanjivaram silk saree, while Kushal complemented his bride in his Maharaja-themed look."